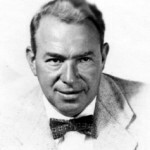 Over the Rainbow: The Great Songs of Yip Harburg. With 30 tracks sung by Lena Horne, Tony Bennett, Maureen McGovern, Tommy Hollis, Judy Garland, Catherine Russell, Groucho Marx, Yip and many others. Coming soon from The Yip Harburg Foundation.